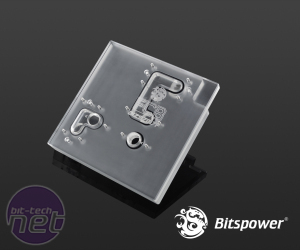 Bitspower has revealed images of a new range of full-cover waterblocks for Asus' current range of Z97 ROG motherboards. 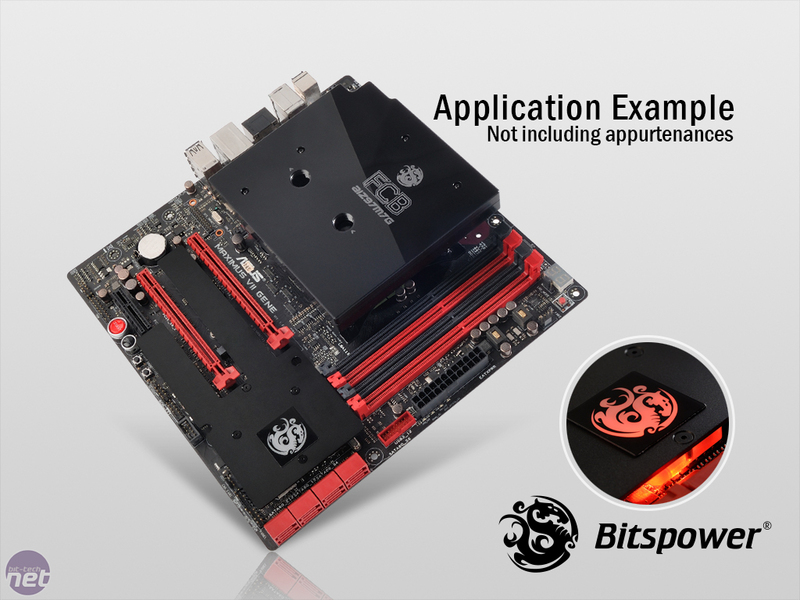 The waterblocks cater for the Maximus VII Gene, Hero, Ranger and Formula. 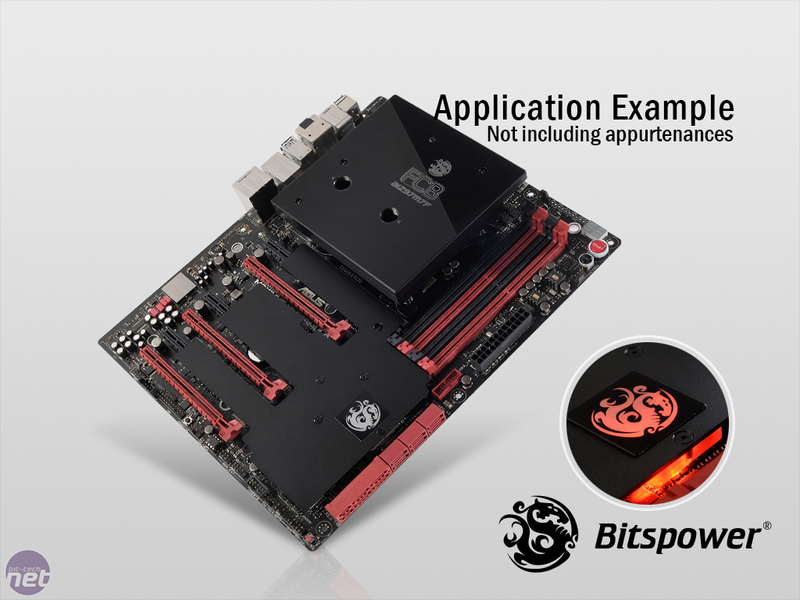 They're available in three colours - black, clear and red and feature a four part system that uses standard-looking CPU and VRM waterblocks. 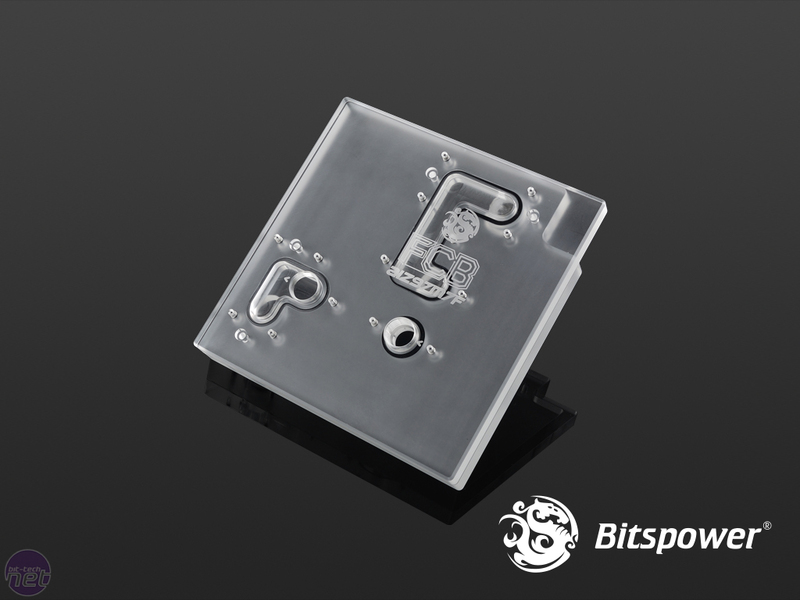 A large connecting section sits on top, connecting the two, allowing for a single inlet and outlet to be used to cater for both waterblocks. Finally, an armour section fits to the motherboard, surrounding the PCI-E expansion slots. 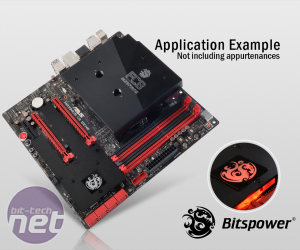 The separate block design may well help with the average CPU cooling performance seen with some of Bitspower's mini-ITX full-cover waterblocks (see out review of the Bitspower AIZ77ITXD Asus P8Z77-I Deluxe Waterblock here), which featured a single milled contact plate for the entire waterblock. 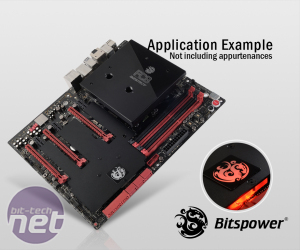 Here, the separate blocks are simply connected together, but with the advantage of an attractive-looking top cover and just two ports to contend with compared to four with separate VRM and CPU waterblocks. 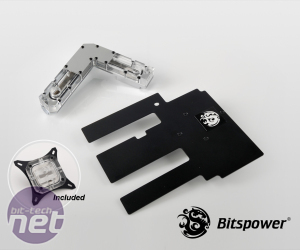 The method has been used is a few PC mods too such as p0Pe's N.V.
Each kit includes the top cover, armour and two waterblock pieces along with o-rings, thermal pads and mounting accessories. Pricing has yet to be confirmed. 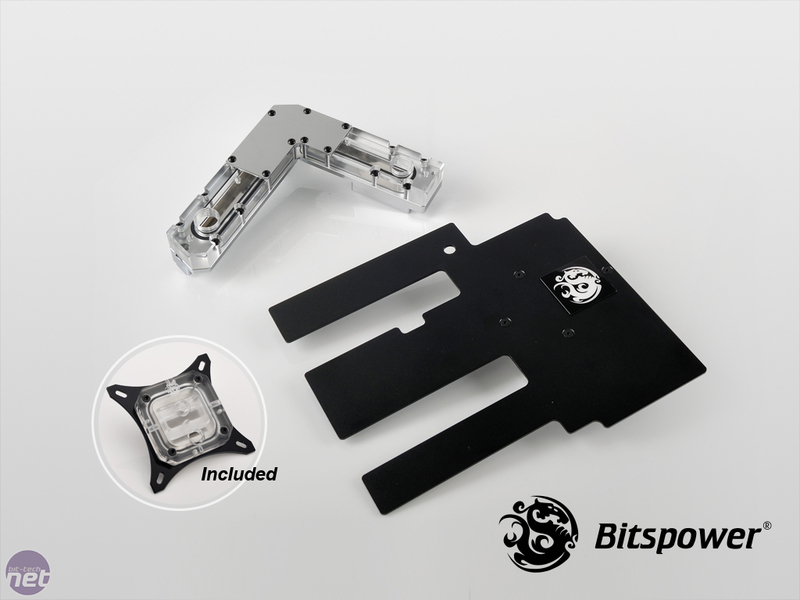 What do you think of the new waterblocks? Let us know in the forum.